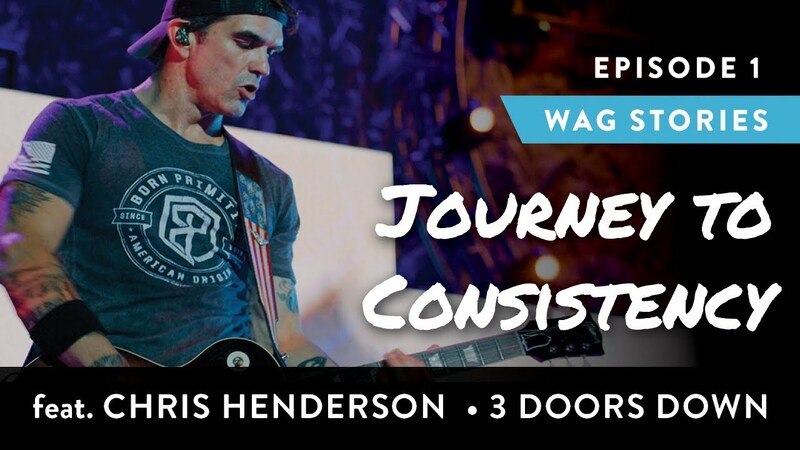 This week, we’re excited to share the story of Chris Henderson, the rhythm guitarist for 3 Doors Down and #TeamWAG member. In rock and roll fashion, Chris admits to spiraling into the less glamorous side of the lifestyle. After battling with addiction and unsustainable health practices, he reached a point where he knew a change was necessary. To hear more about Chris’s commitment to taking control of his life, watch part one of this WAG Stories video series, and stay tuned next Wednesday for episode two to learn HOW he makes it happen. Are you ready to take the next step in owning your potential? Learn more about how WAG can help support you here.